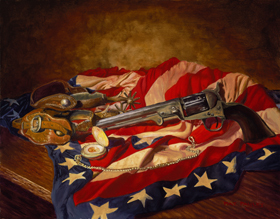 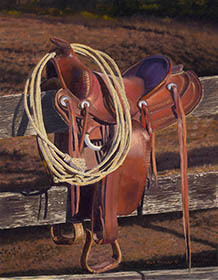 This painting was inspired by my passion and love of horses and the ways of the old west. 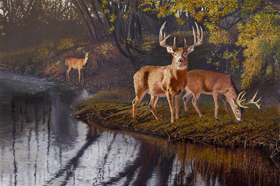 This majestic painting of a mature whitetail buck with two does in a dramatic Texas landscape will be auctioned off at the Saturday Night Banquet as the Dallas SCI Convention in January 2014. 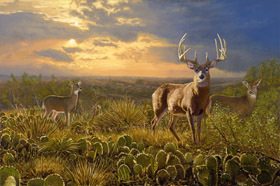 If you look closely at the sky, you can see the shape of the State of Texas painted in the cloud pattern. 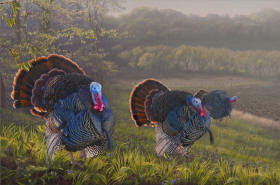 This painting was inspired by the beautiful landscapes you see across the country with old rustic barns and John Deere tractors and gorgeous sunsets with turkeys out feeding in the fields. 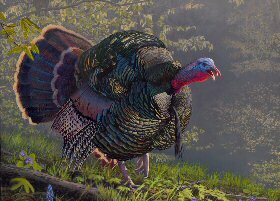 In the sky you can see the shape of the NWTF Turkey Logo and a cloud the shape of a big tom. 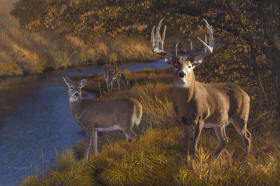 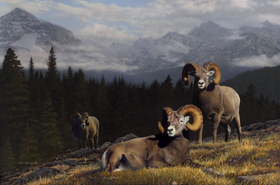 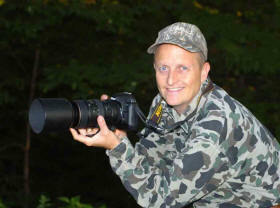 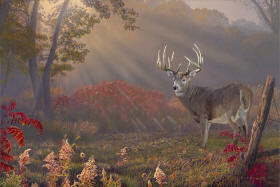 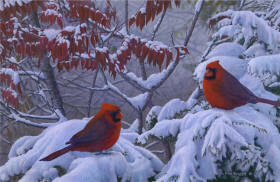 Print chosen as featured print for auctions across the country to raise money for wildlife habitat. 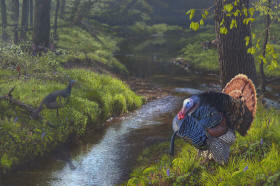 "Spring Treasures II – Turkeys"